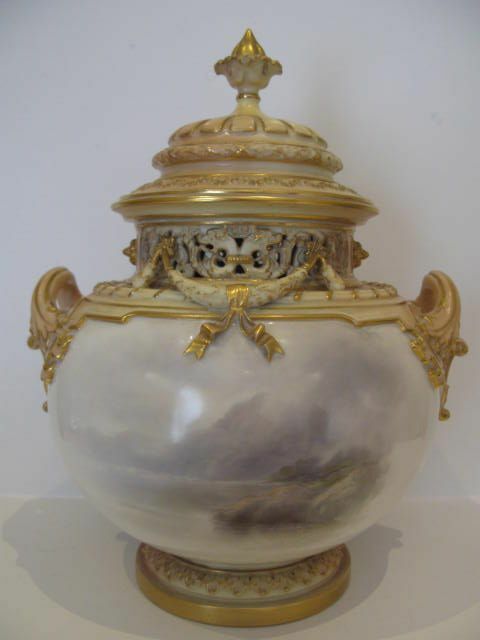 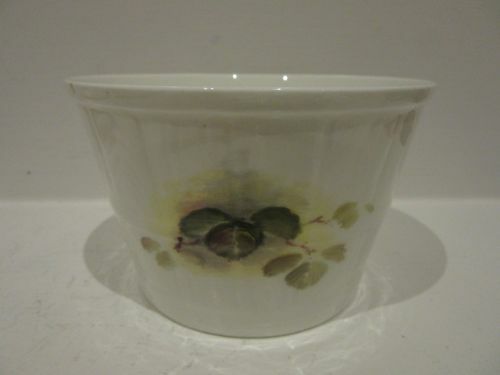 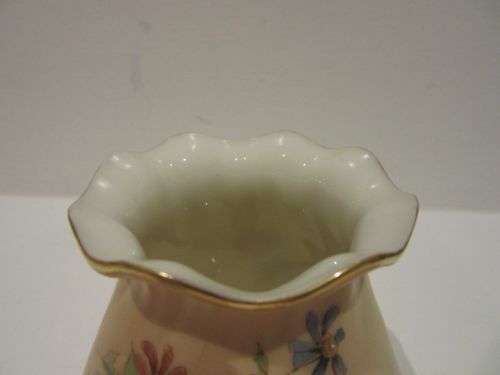 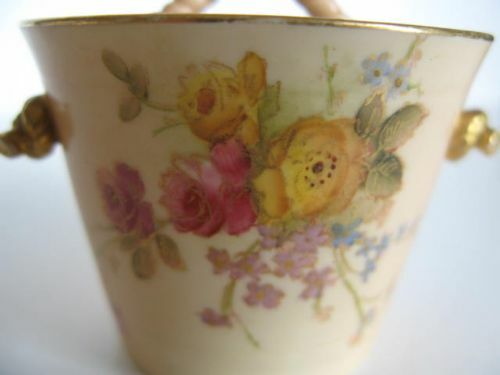 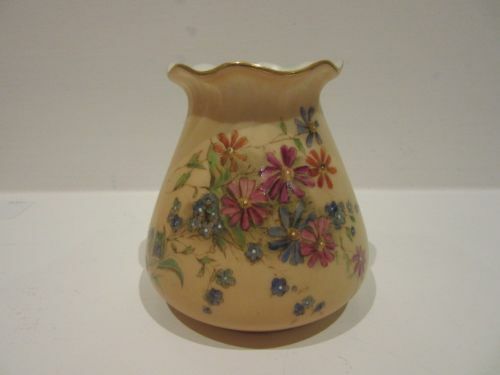 A Royal Worcester Blush-Ivory, Flower Painted Bucket. 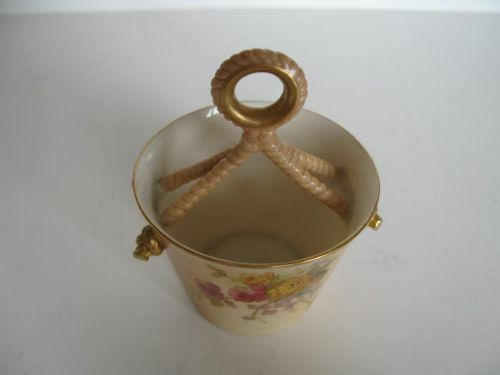 A pretty, Royal Worcester blush-ivory porcelain bucket with simulated rope handle, shape number 647, the body with painted summer flower decoration. 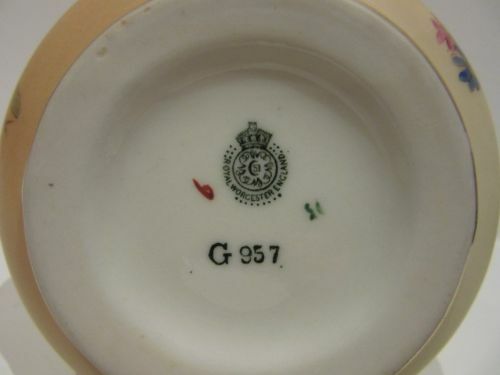 Standing approximately 3.1/2"tall x 2.3/4" diameter, it has the puce factory stamp for 1908 and is in very good condition with no damage, crazing or restoration, and the gilding shows only the slightest of wear around the rim. 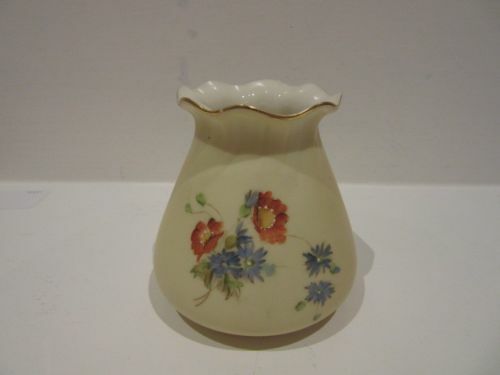 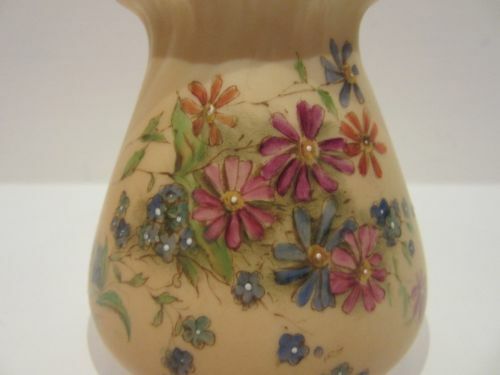 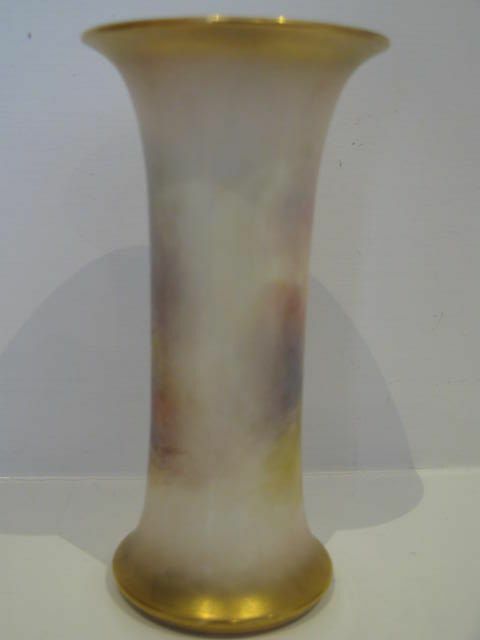 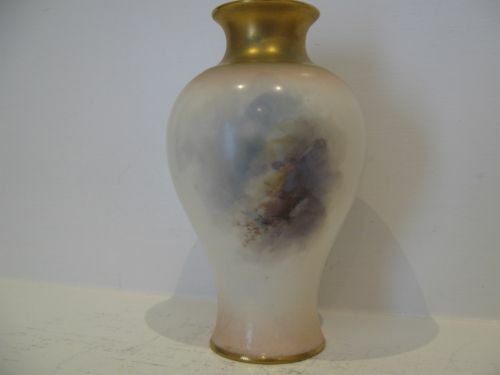 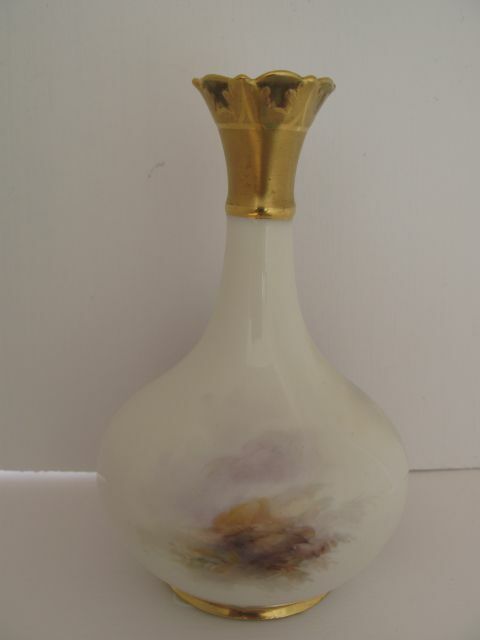 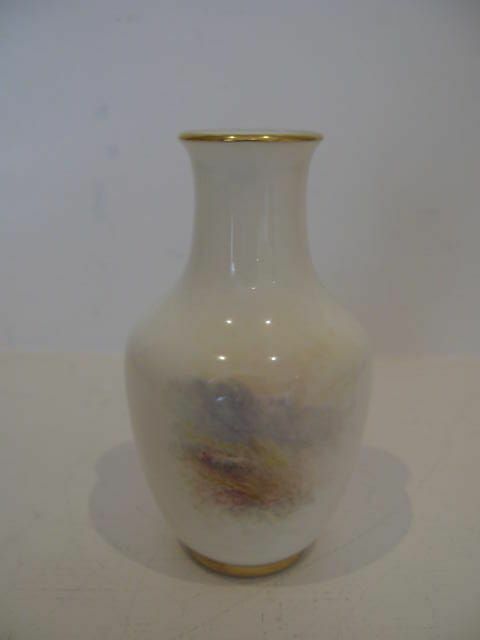 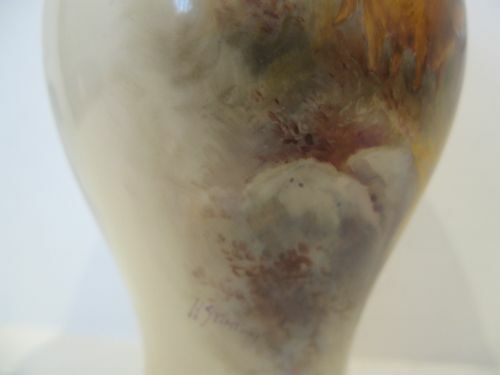 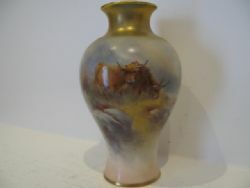 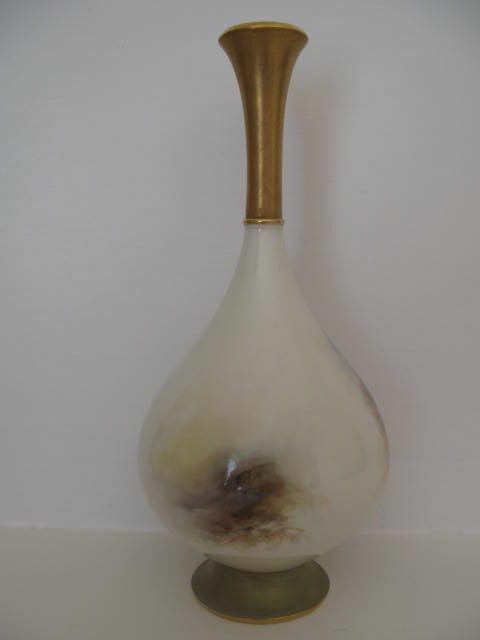 A Royal Worcester Blush-Ivory, Flower Painted Vase. 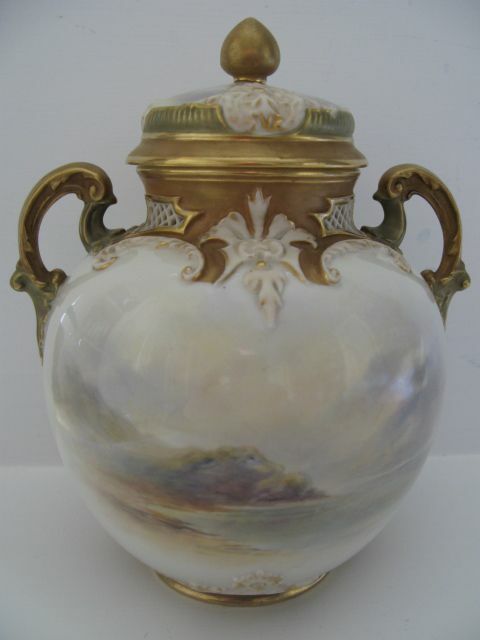 An attractive Royal Worcester blush-ivory vase, shape number G957, with undulating reeded rim and well painted flower and foliage decoration. 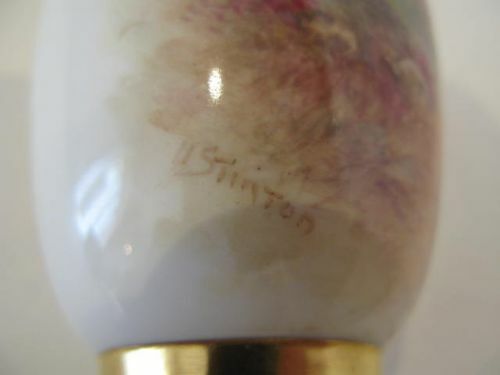 Standing approximately 3.1/4"tall x 3.1/4"diameter, it has the dark green factory stamp for 1912 and is in excellent condition with no damage, crazing or restoration and the gilding is bright and virtually without wear. 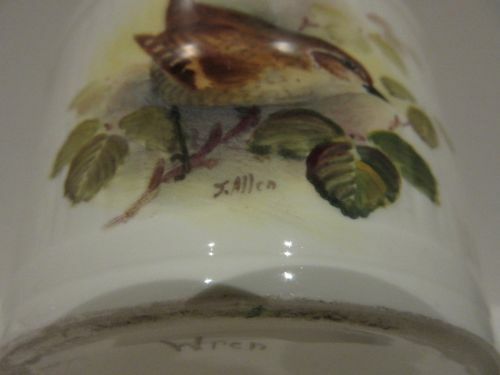 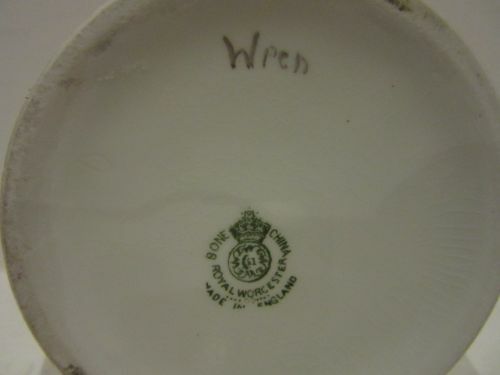 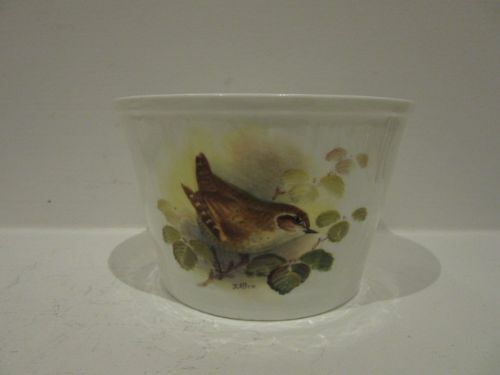 A Royal Worcester Bowl With Wren Painted Decoration By J. Allen. 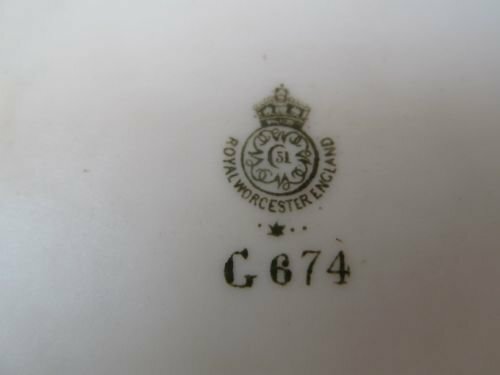 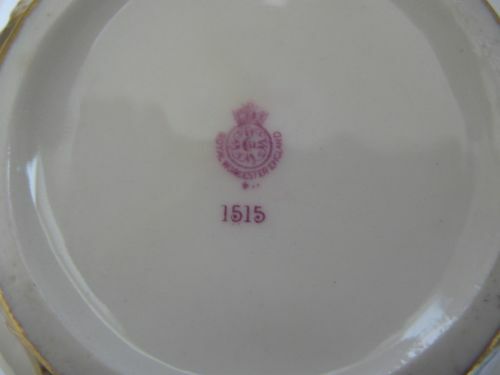 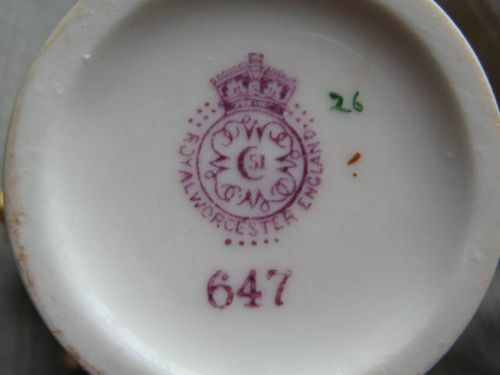 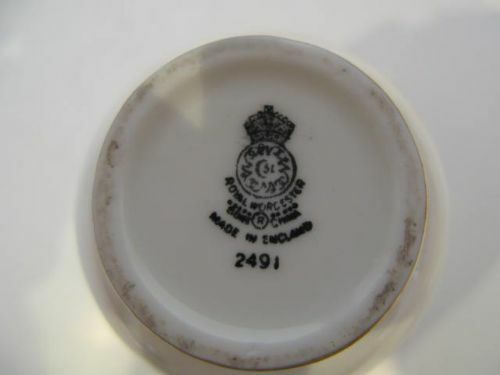 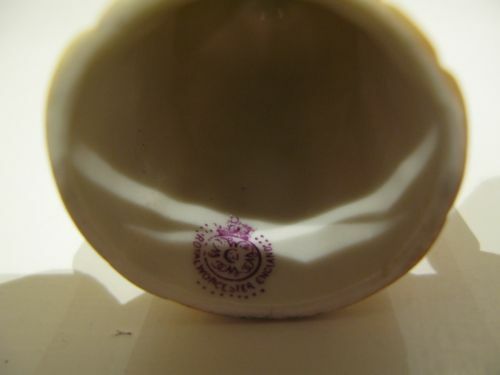 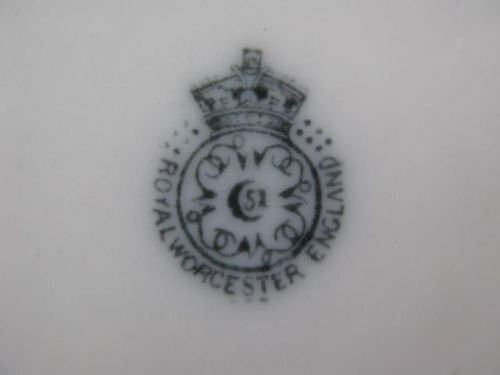 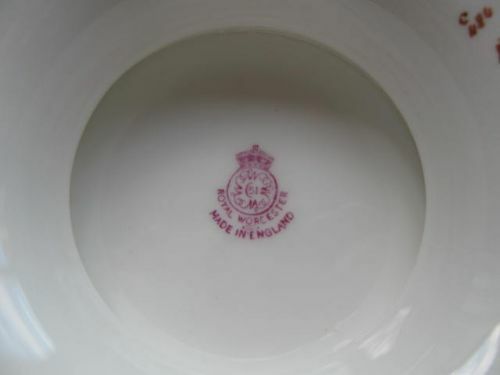 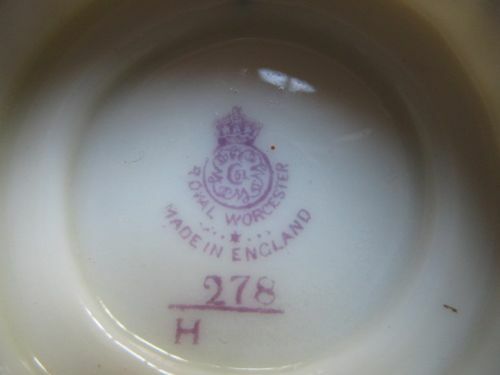 A Royal Worcester porcelain sugar(?) 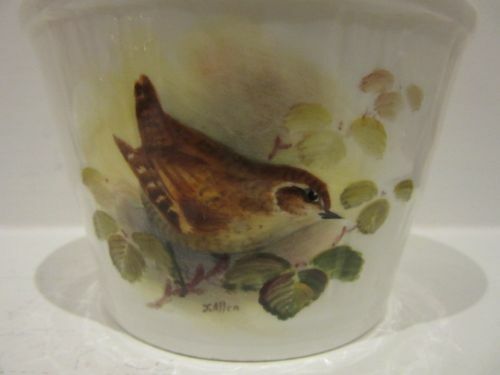 bowl, decorated with a very well painted picture of a Wren perched in foliage by the specialist painter James Allen. 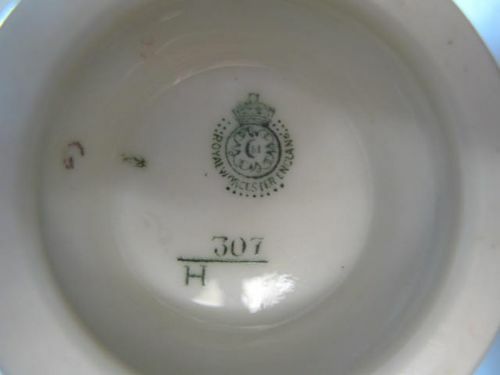 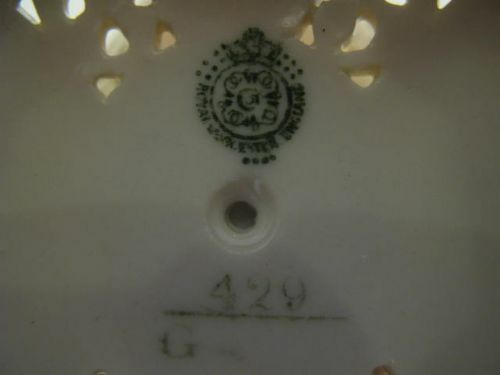 Measuring approximately 3.7/8"diameter x 2.3/8"tall, it has the dark green factory stamp for 1940 and apart from some relatively light crazing under the base and inside the rim, it is in good condition with no damage or restoration. 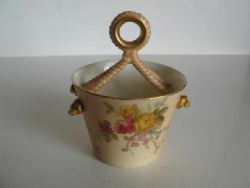 A Royal Worcester Candle Snuffer "Granny Snow", Dated 1912. 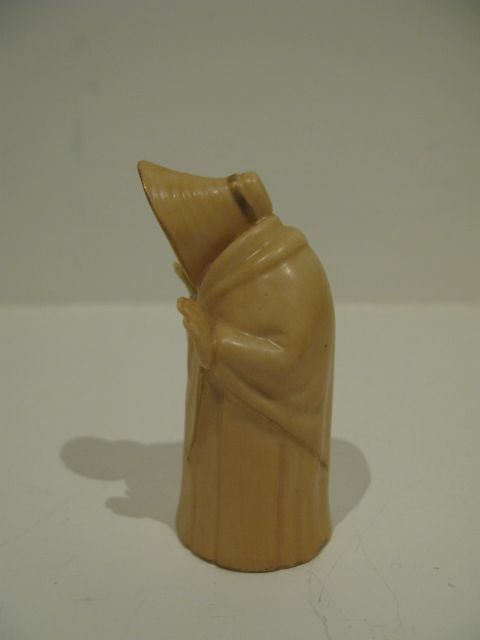 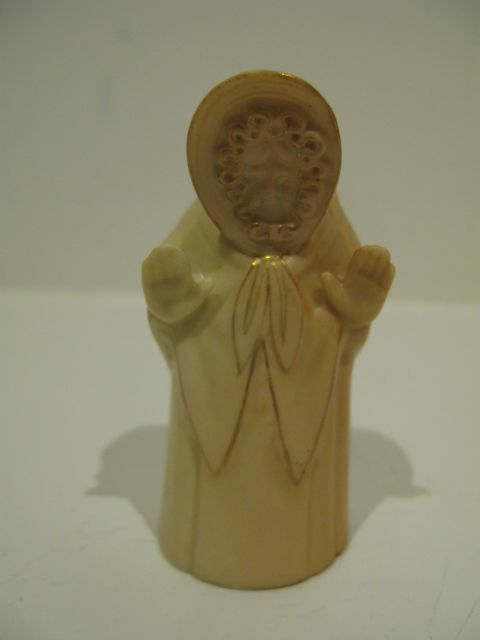 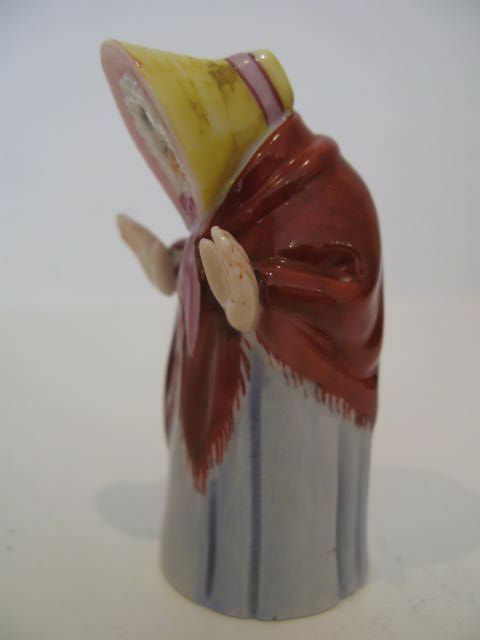 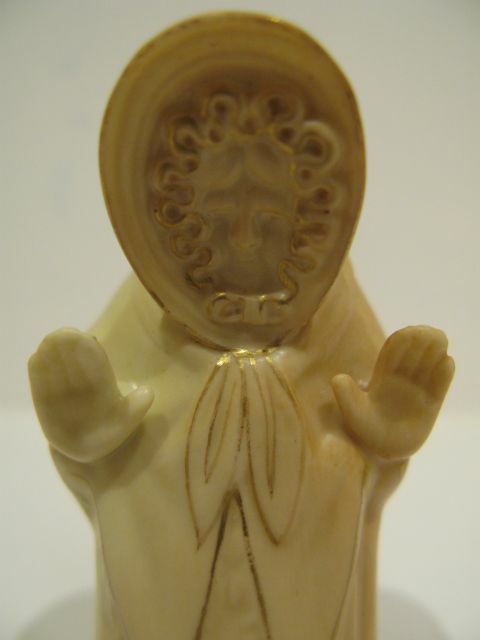 A Royal Worcester blush ivory porcelain candle snuffer in the form of an old lady in a shawl and bonnet, titled "Granny Snow". 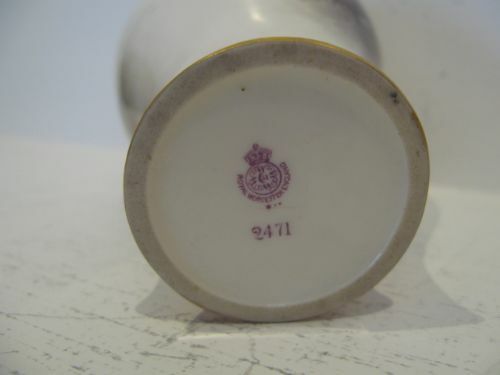 Standing approximately 3"tall x 1.1/2"wide with the puce factory stamp for 1912, it is in good condition with no damage, crazing or restoration and the gilding showing normal slight signs of wear. A Royal Worcester Candlesnuffer titled "Granny Snow". 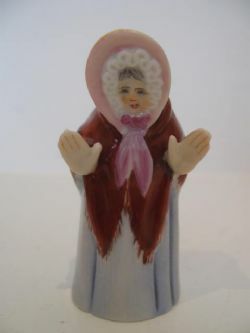 A Royal Worcester porcelain candlesnuffer, "Granny Snow", one of their range of extinguishers based upon popular characters from children's books, stage artists, politicians of the day etc,etc. 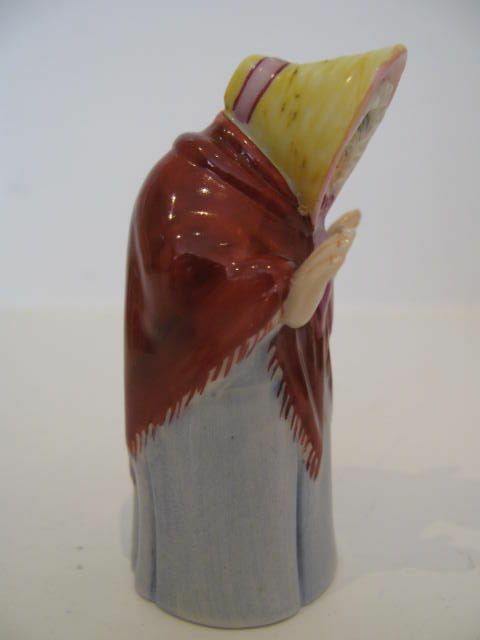 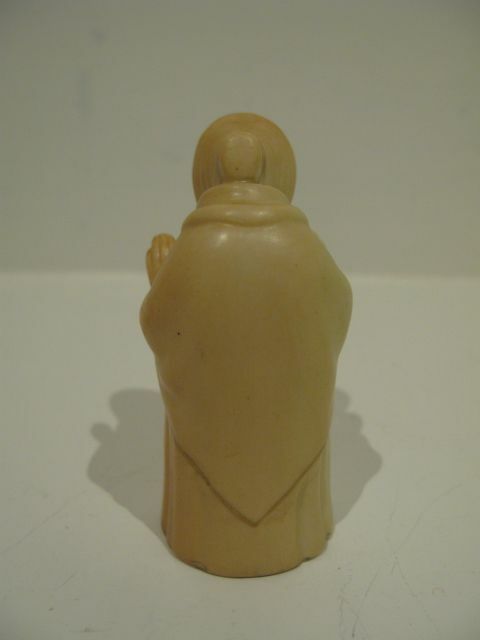 Standing approximately 3"high x 1.1/2"tall with the dark green factory stamp for 1908, she is in very good condition with no damage, crazing, restoration or loss of paint, any white dots showing on her cape being purely reflections. 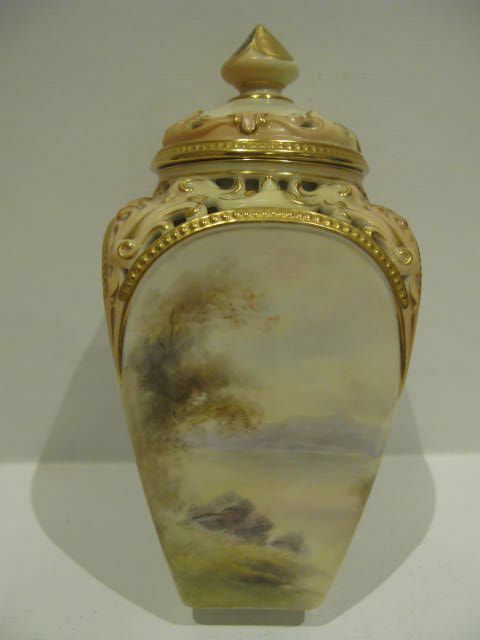 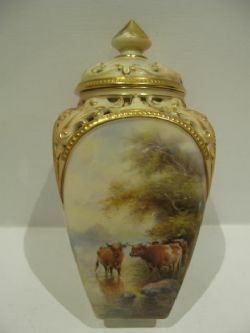 A Royal Worcester Cattle Painted Lidded Vase By J. Stinton. 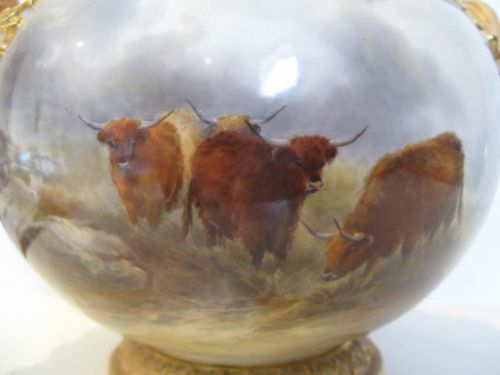 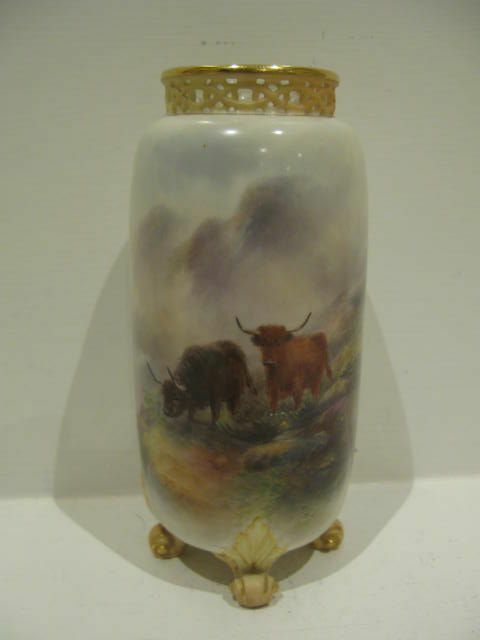 A attractive and impressive Royal Worcester porcelain bow vase, shape number 1428, with a well painted scene of four Highland Cattle in mountainous Scottish scenery by John Stinton. 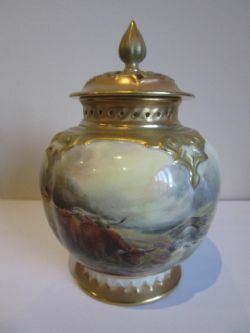 Standing approximately 12"overall height x 10"diameter, it has the puce factory stamp for 1906 and other than the finial having been snapped off just below the gilt line and re-attached to the lid, it is in good condition with no damage, crazing or restoration and the gilding shows only slight signs of wear. 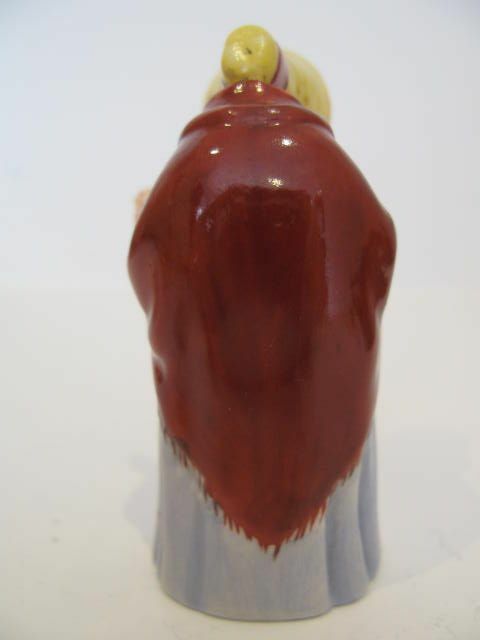 The re-attachment of the finial has been done to a professional standard, and is virtually invisible to the naked eye. 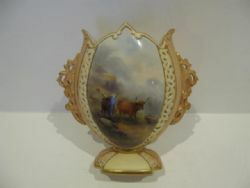 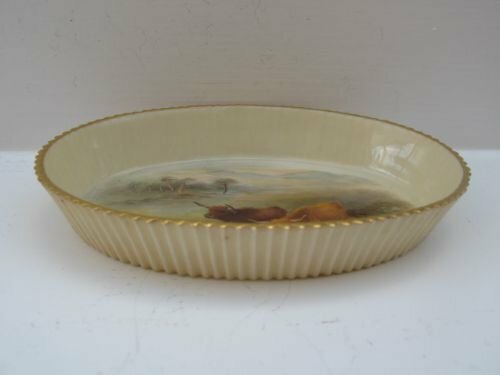 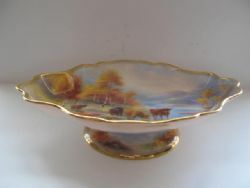 A Royal Worcester Cattle Painted Pin Dish By H. Stinton. 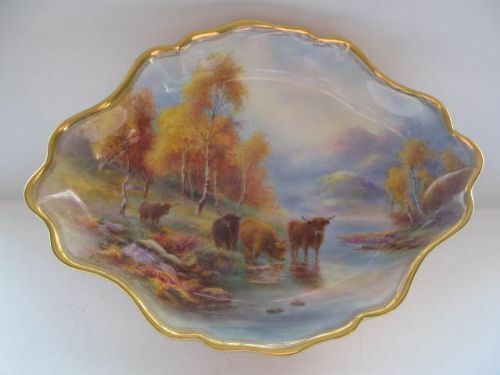 An attractive Royal Worcester porcelain oval pin dish with serrated edge, shape number G674, with well painted Highland Cattle in a mountainous Scottish setting by Harry Stinton. 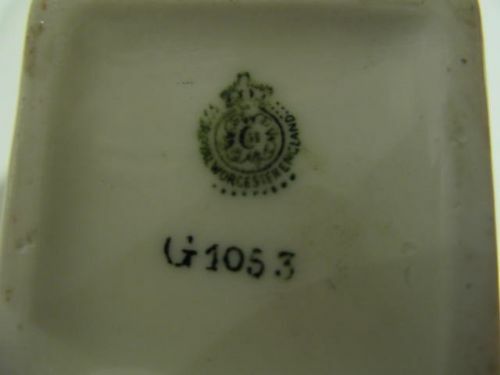 Standing approximately 4.1/2"long x 3.1/4"wide x 3/4"deep, it has the dark green factory stamp for 1919 and is in good condition other than one or two of the serrated tips having tiny nibbles, but it has no other damage, crazing or restoration, and the gilding is without wear. 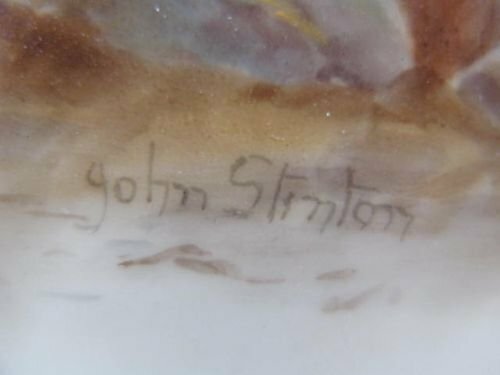 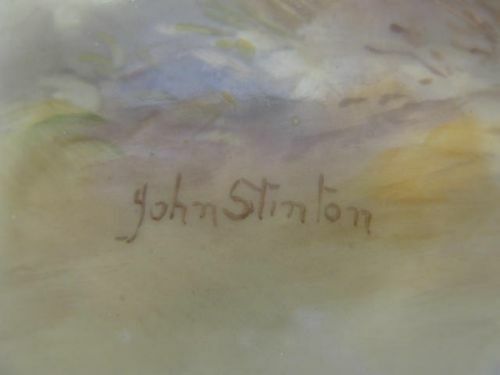 A Royal Worcester Cattle Painted Plate By John Stinton. 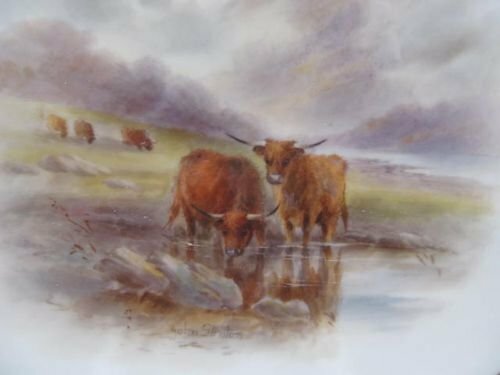 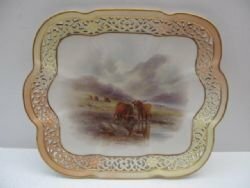 An attractive, Royal Worcester porcelain cabinet plate with shaped reticulated rim and well painted Highland Cattle beside a loch in mountainous Scottish scenery, by John Stinton. 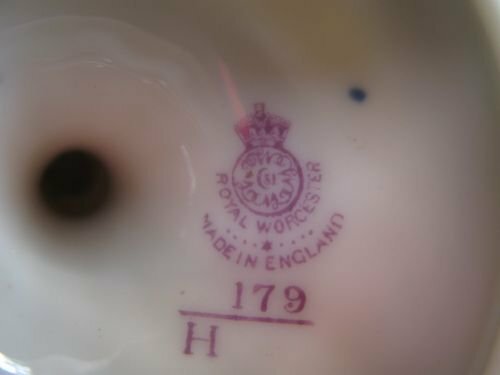 Measuring approximately 9.3/4"long x 8.1/4"wide, it has the dark blue factory stamp for 1906 and is in very good condition with no damage, crazing or restoration, and the gilding shows just very slight signs of wear to the rim in parts. 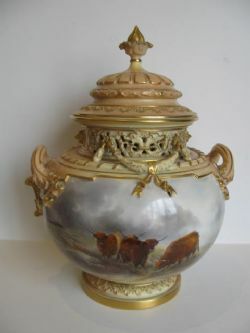 A Royal Worcester Cattle Painted Pot Pourri By John Stinton. 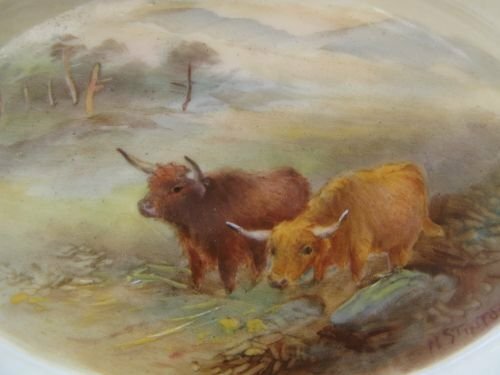 A good Royal Worcester lobed porcelain pot pourri, shape number H278, decorated with a well painted scene by John Stinton of three Highland Cattle watering by a stream and stone bridge in mountainous Scottish scenery. 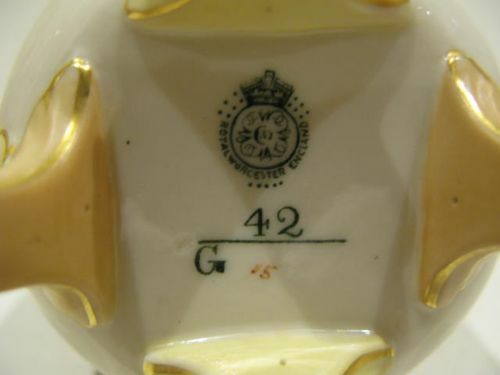 Measuring approximately 5.1/4"overall height x 3.1/2"diameter, it has the puce factory stamp for 1923 and is in very good condition with no damage, crazing or restoration, and the gilding shows only very slight wear. 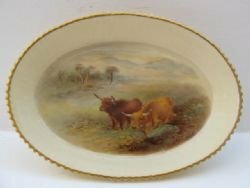 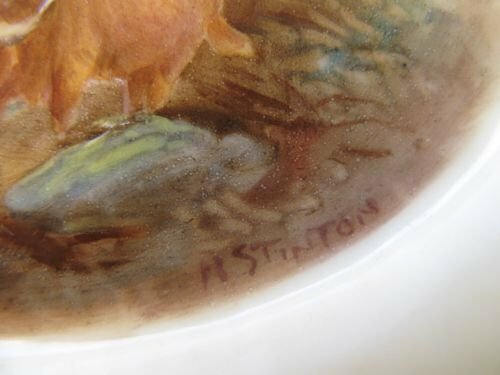 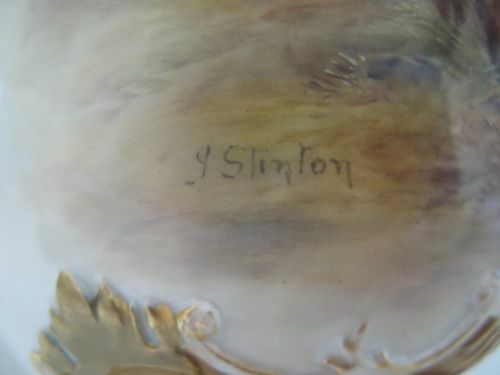 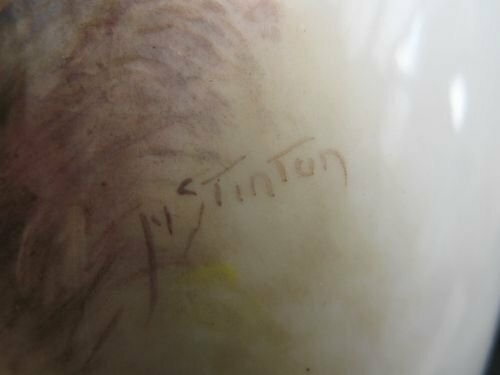 A Royal Worcester Cattle Painted Tazza By H. Stinton. 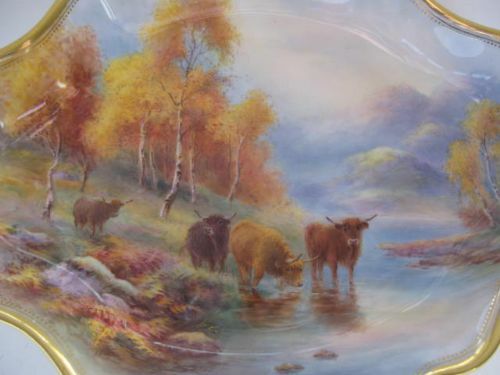 A most attractive Royal Worcester porcelain tazza, with a fine autumnal painting by Harry Stinton of four Highland Cattle watering by a wooded riverside, all set in mountainous Scottish scenery. 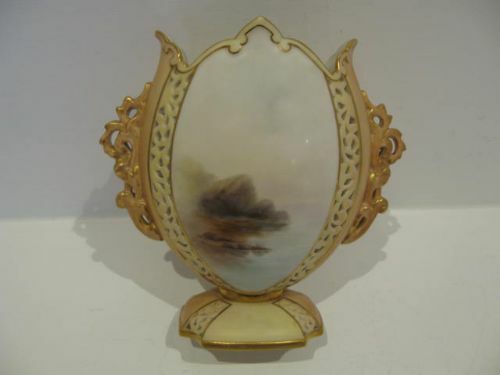 Standing approximately 11.1/2"long x 8.1/2"wide x 2.3/4"tall, it has the puce factory stamp for 1934 and is in superb condition with no damage, crazing or restoration and the gilding is bright and with virtually no wear. 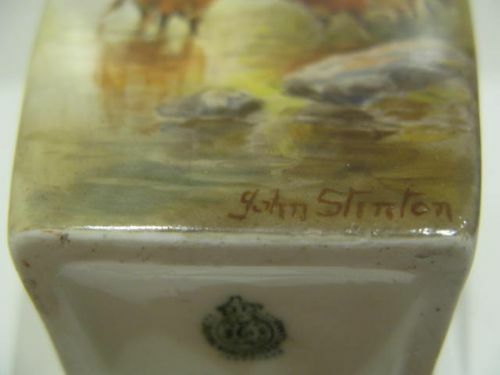 A Royal Worcester Cattle Painted Tea Caddy By John Stinton. An attractive Royal Worcester 4 sided porcelain tea caddy, shape number G1053, with a well painted scene of Lowland Cattle by a wooded lakeside edge by John Stinton. 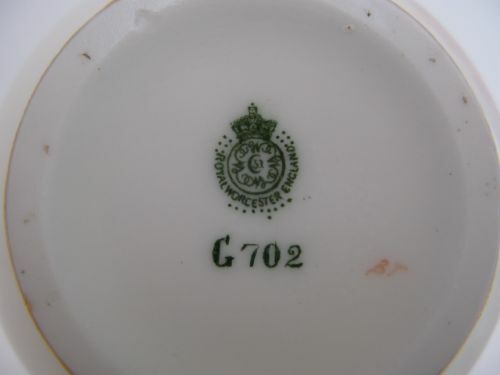 Standing approximately 3.1/2"square x 7"overall height, it has the dark green factory stamp for 1912 and is in very good condition with no damage, crazing or restoration and apart from a little wear to the finial and rim of the lid, the gilding is in good condition. 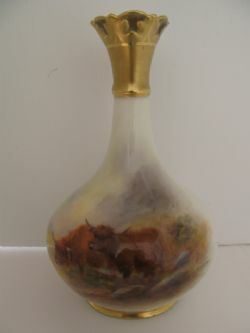 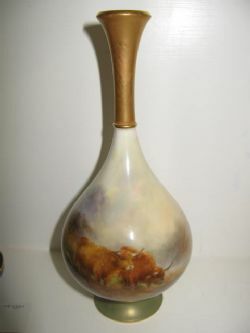 A Royal Worcester Cattle Painted Vase And Cover By John Stinton. 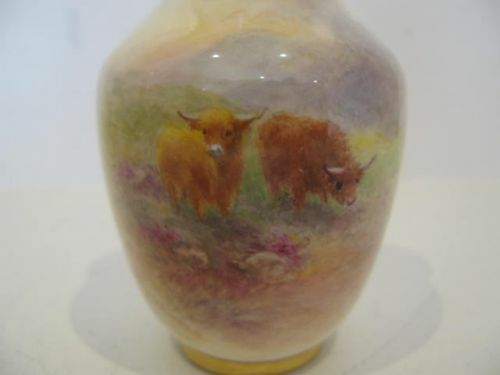 A good, Royal Worcester porcelain scroll handled vase and cover, shape number 1515 which is listed as "rare" in Sandons, with a well painted scene of Highland Cattle in a mountainous Scottish setting by John Stinton. 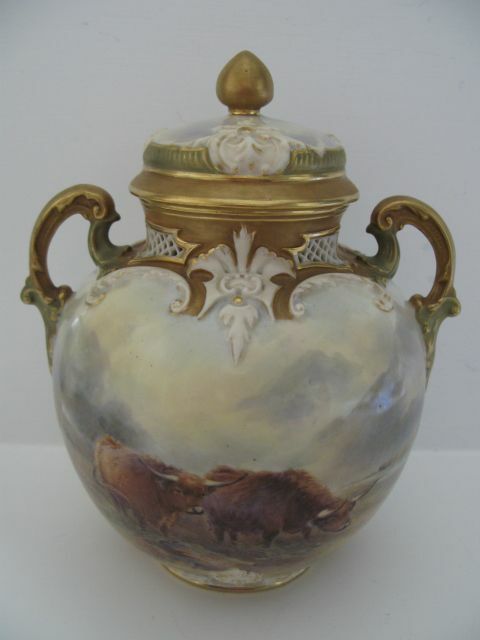 Standing approximately 8"overall height x 6.1/2" wide over the handles, it has the puce factory stamp for 1918 and is in very good condition with no damage, crazing or restoration, and the gilding shows very little sign of its 94 years of age. 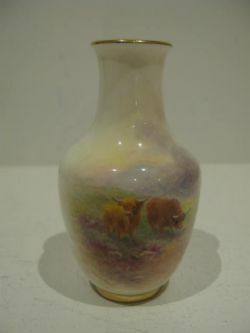 A Royal Worcester Cattle Painted Vase By H Stinton. 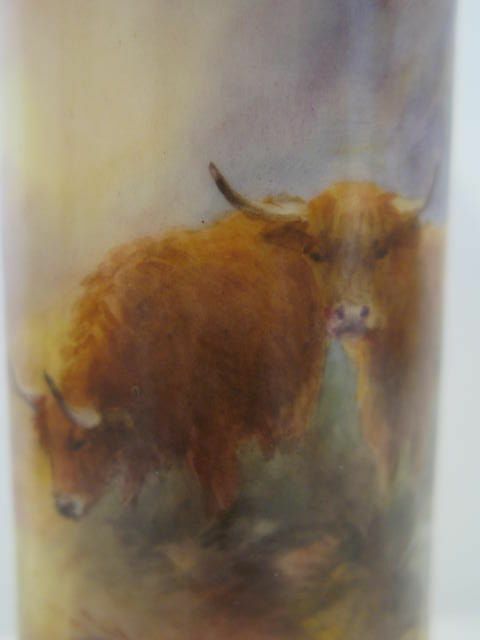 An attractive Royal Worcester cylindrical porcelain vase standing on four scroll feet and with reticulated rim, shape number G42, painted with a pair of Highland Cattle in mountainous Scottish scenery by Harry Stinton. 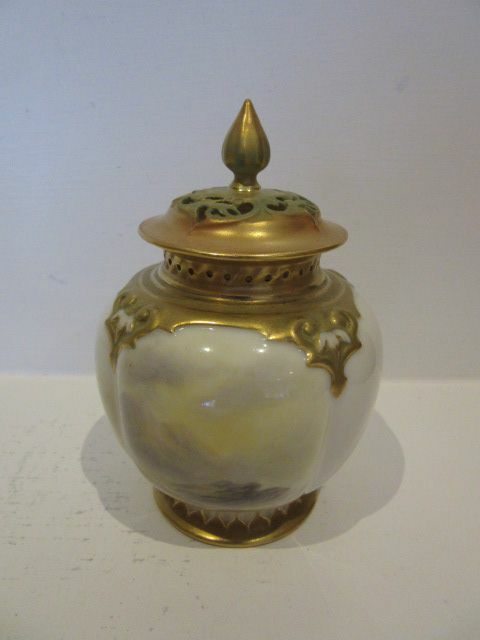 Standing approximately 5.3/4"tall x 2.3/4"diameter, it has the dark green factory stamp for 1908 and is in excellent condition with no damage, crazing or restoration, and the gilding is virtually without wear. 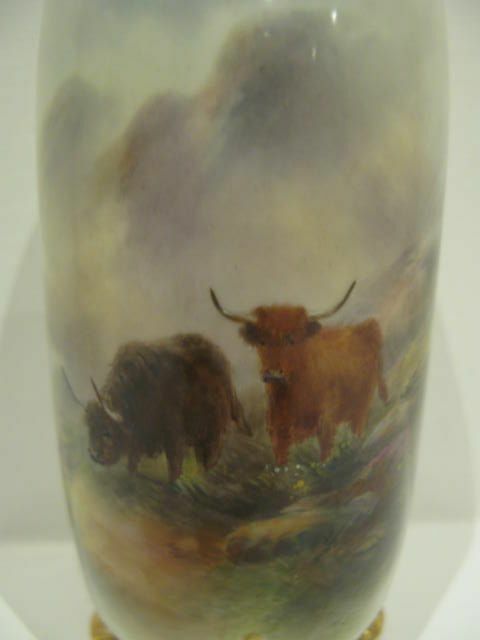 A Royal Worcester porcelain vase, shape number 2491, decorated with a painted scene of Highland Cattle grazing in a mountainous Scottish setting by Harry Stinton. 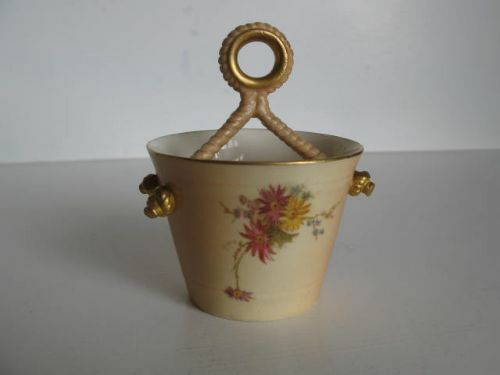 Standing approximately 4.1/2"tall x 2.5/8"diameter, it has the black factory stamp for 1960 and is in excellent condition with no damage, crazing or restoration and the gilding is bright and without wear. A Royal Worcester Cattle Painted Vase By H. Stinton 1907. 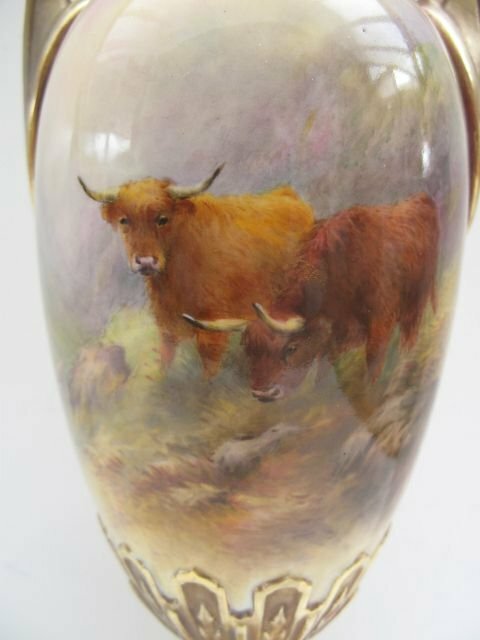 A very attractive Royal Worcester porcelain vase, shape number G429, with reticulated panels and well painted scene of a pair Highland Cattle in mountainous Scottish scenery by Harry Stinton. 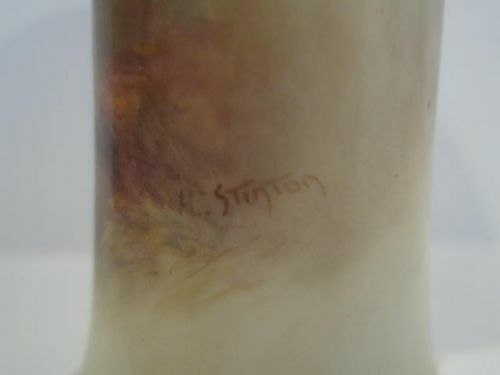 Standing approximately 5.1/2"wide x 5.3/4"tall x 2.3/4" deep, it has the dark green factory stamp for 1907 and is in excellent condition with no damage, crazing or restoration and the gilding is bright and shows virtually no wear. A Royal Worcester Cattle Painted Vase By H. Stinton. 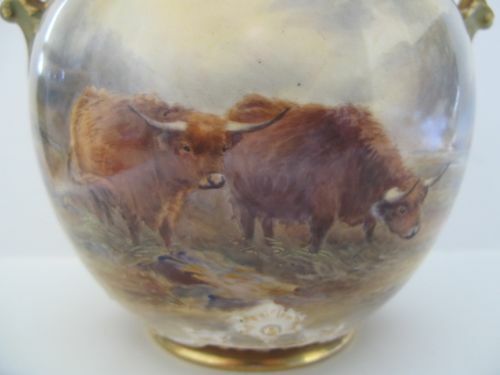 An attractive, Royal Worcester porcelain vase, shape number H307, with a pair of well painted Highland Cattle grazing in a mountainous Scottish setting, by Harry Stinton. 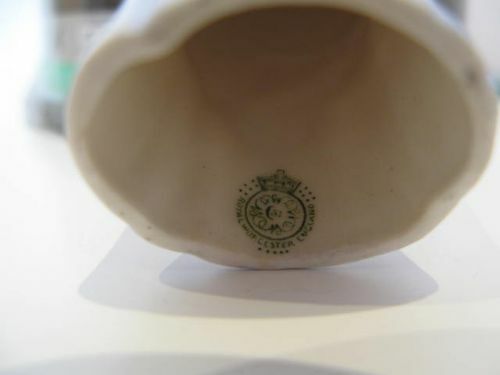 Standing approximately 8.1/8"tall x 3.3/4"diameter, it has the dark green factory stamp for 1912 and is in good condition with no damage, crazing or restoration, but the gilding showing a little unevenness and wear to the neck. An attractive Royal Worcester porcelain vase, shape number G702, with a well painted scene of Highland Cattle in a mountainous Scottish setting by Harry Stinton. 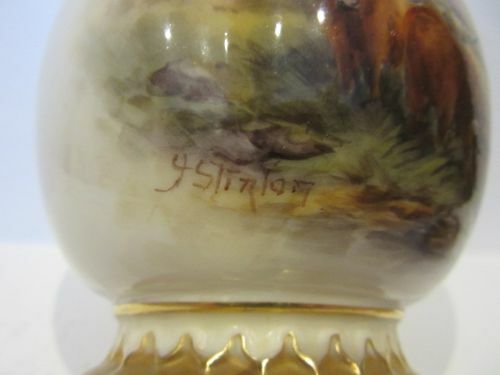 Standing approximately 5.1/2"tall x 3.1/2"diameter and with the dark green factory stamp for 1913, it is in excellent condition with no damage, crazing or restoration and the gilding is fresh and without wear. 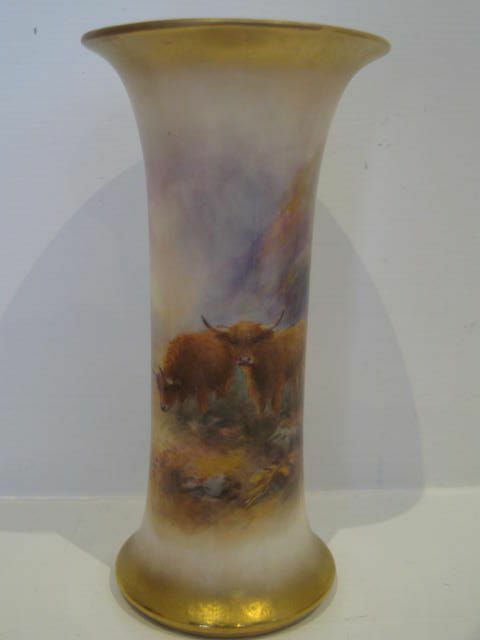 A Royal Worcester porcelain trumpet shaped vase, shape number G923, with a very well painted depiction of Highland Cattle in a mountainous Scottish setting by Harry Stinton. 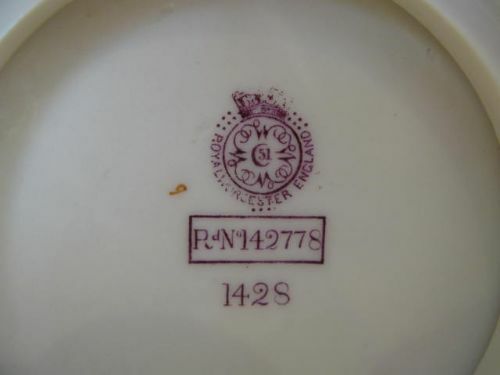 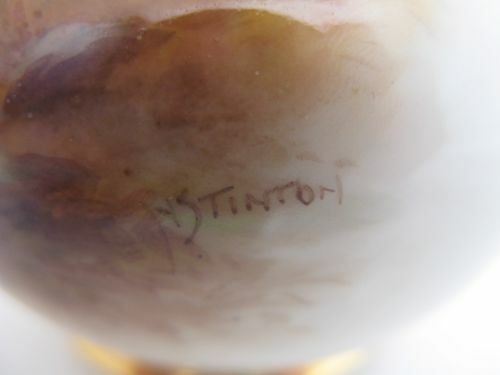 Standing approximately 6"tall x 3"diameter it has the puce factory stamp for 1937 and is in very good condition with no damage, crazing or restoration and the gilding shows only slight wear underneath the rim and a small scratch to the base approximately 1/8"long. 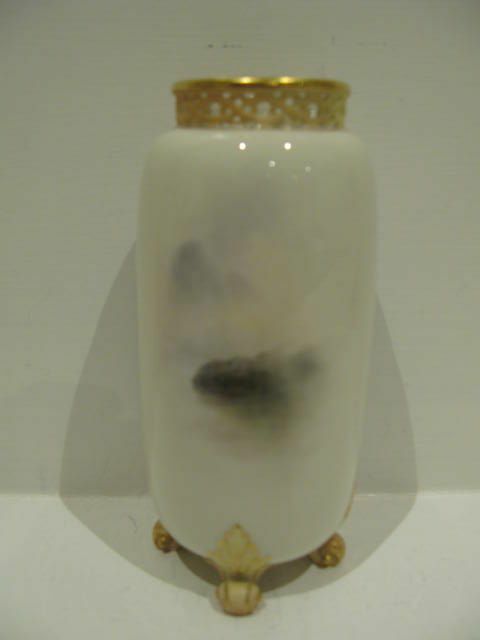 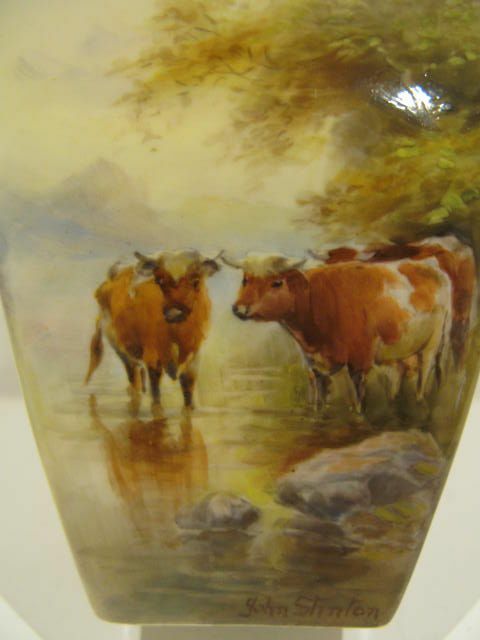 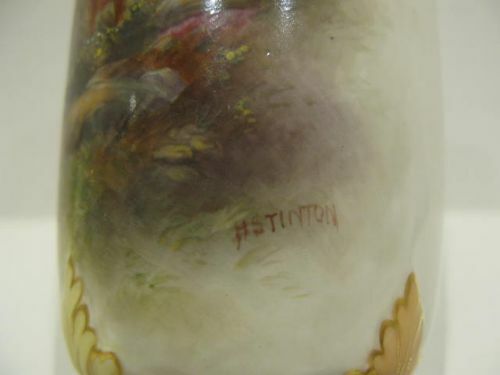 A Royal Worcester Cattle Painted Vase By Harry Stinton. 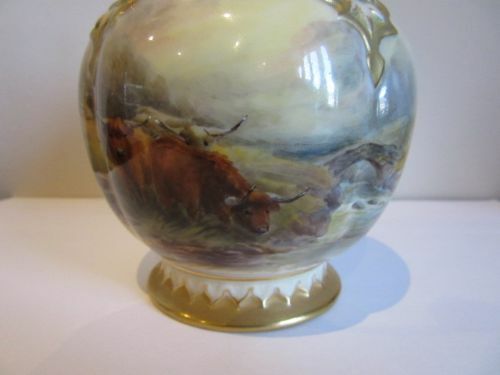 A large, Royal Worcester porcelain lidded vase, shape number H179, with well painted Highland Cattle in a mountainous Scottish setting by Harry Stinton. 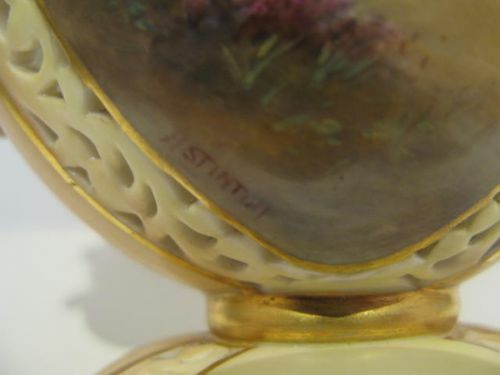 Standing approximately 12.1/2"overall height x 5.1/4"wide, it has the puce factory stamp for 1924 and is in excellent condition with no damage, crazing or restoration, and the gilding is virtually unworn. 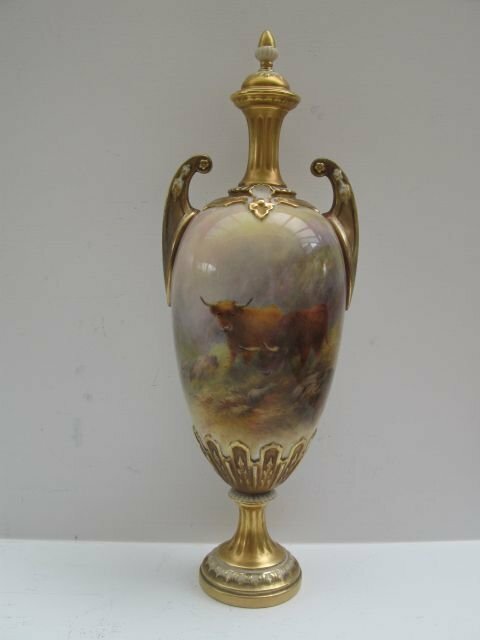 A Royal Worcester Cattle Vase By H.Stinton, Date Code 1918. 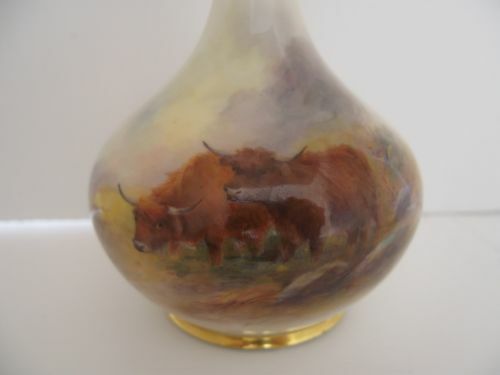 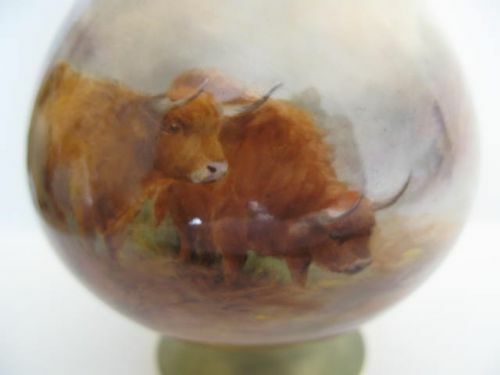 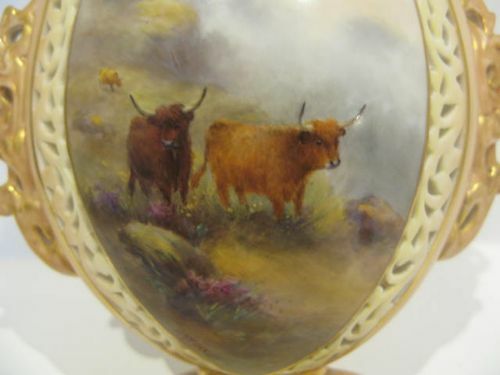 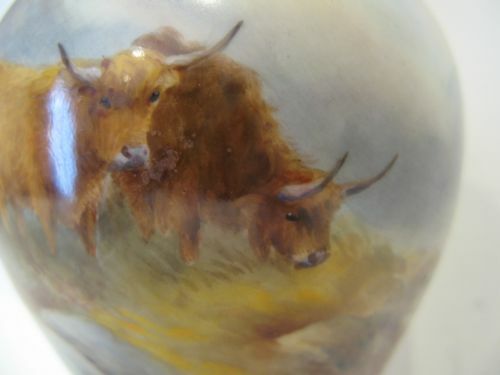 A Royal Worcester porcelain vase, shape number 2471, with a well painted pair of Highland Cattle in mountainous Scottish scenery by Harry Stinton. 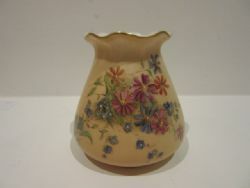 Standing approx.6"high x 3.1/2"dia. 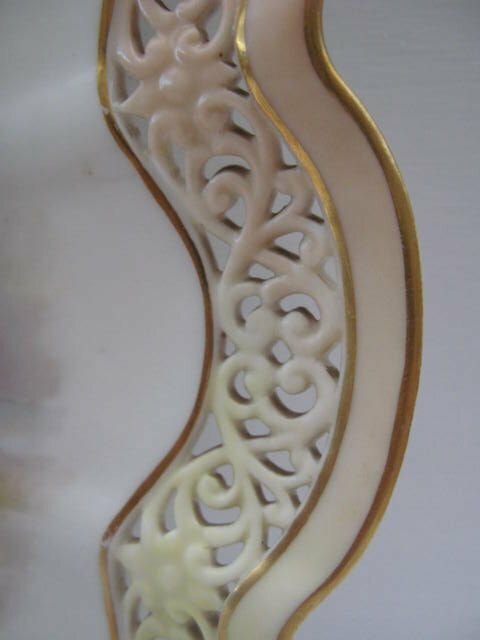 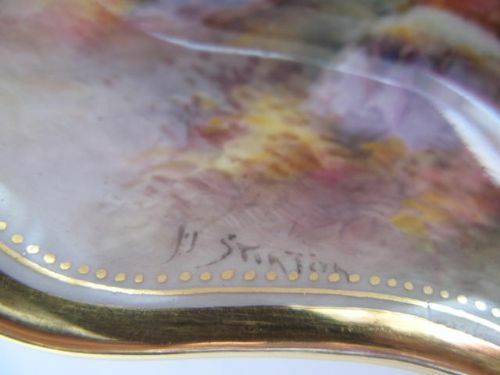 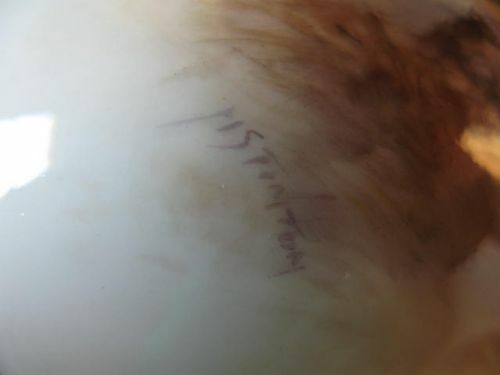 it has the puce factory stamp for 1918 and is in good condition with no damage, crazing or restoration, and the gilding showing only a little wear underneath the rim.